Have you heard the word…voice mail is going the way of the dinosaurs? Don’t despair; there’s good news…the power of voice still reigns for teachers in all instructional settings. This week’s Attentionology post offers some new tools and tricks that can help you use your voice power to catch and keep kids’ attention and help them learn. 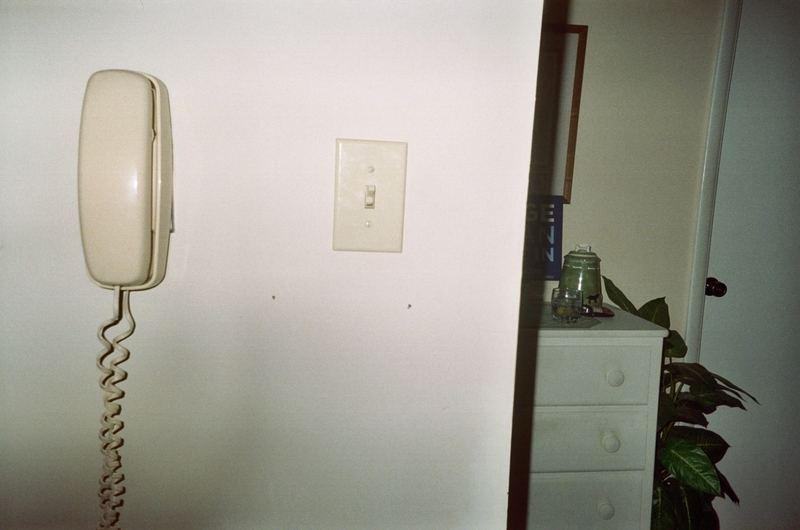 Old telephones and voice-mail are going the way of dinosaurs! are in major decline among students ages 12 – 17 – an older age group than elementary school kids – but it certainly seems to be the wave of the future. Guess what’s on the rise, in every part of the world where cell phones rule? You got it…texting. Writing teachers take note: adult text messages are often written in complete sentences; young people are more apt to LOL (laugh out loud) as their fingers speed to click and send. Business and education systems wide, voice-mail messages are down by large percentages (US, at least) and many voice-mails are even (discourteously, I’d say) left unanswered. Has this been your experience? What are you noticing with your students, their parents, and your own habits? What does all of this have to do with teaching K – 5 kids? We are forced by technology, I believe, to “merchandise” education. We’re compelled to use tools and tricks (some technology-based, some not) to catch and keep kids’ attention by embracing change, whether we like it or not, and tweaking constant changes in communication to achieve our academic goals. We can do this, though, and we can STILL USE THE POWER OF OUR VOICES to help kids learn! One more little piece of background before some fun, functional tools and tricks to put voice power to work. I Googled, and you can too, the power of voice to do research for this post. Results: found an article written in 1998 that features voice as “the best tool you have to capture and command respect.” 1998! Does that seem like a hundred years ago? THEN I found an article titled The Power of Voice written this year. No-brainer; the 2012 article stated in so many words that communication is constantly changing and evolving with texts and tweets and all kinds of aps. But, even the 2012 articles that I’ve read assert that voice is still vital in business (and I’m adding…in educational) environments. SPEAK INTO THE MICROPHONE – If you’re noticing that your students’ attention is slack, grab a battery-powered microphone, like you see in my blog pic here, and “act” like a celebrity on TV. 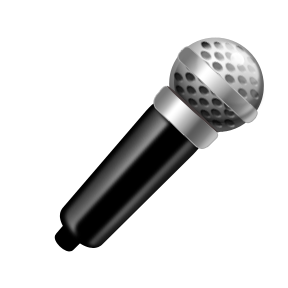 MICROPHONE PLEASE, FOR PRESENTATION TIME – Microphones are attention-getting tools with a focal point. They’re hand-held communication devices. Think about it. When you’ve attended presentations where a speaker had a mic in her or his hand, didn’t the mic help to draw you in? Help your students gain confidence and communication skills by inviting them to give in-class presentations – reading a story they’ve written or making a Social Studies report or reciting a poem or announcing answers to a math quiz or offering a science report based on online or library research – using a microphone. I’ve worked with teachers that do this to good effect. 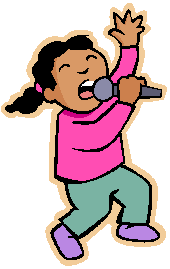 A microphone can help a child communicate more expressively. like the illustrated child in my blog pic here helps him or her not only project voice (if the mics real and not pretend; pretend mics can be very effective too because children have such vivid imaginations) but also feel big and bold. RECORD AND TRANSCRIBE – If your schedule permits, you can try helping children improve their writing by allowing them to record a story they “write” out loud or a piece of dialog they “write” out loud as part of a story in progress. Then have them transcribe the out-loud writing onto paper and incorporate it into their drafts. This use of a microphone may be a bit tedious, but it underscores two important lessons: 1) conversations are quick and relatively easy; writing on paper or computer is slow and often difficult. 2) dialog writing in stories is usually conversational in sound because characters speak in an informal manner, like real people. When students in grades 3 – 5 hear recorded conversation they begin to understand story dialog better. USE CHARACTER VOICES – You don’t have to be a world traveler to speak in languages other than your native tongue with the accents (to your ears) of different languages. Do this respectfully so that your students don’t misunderstand your intention, which is to catch and keep their attention, not to present yourself as fluent in languages in which you are not. I speak a little bit of many languages to engage kids as I introduce them to my Poetry and Story Odysseys. We travel the world with the power of voice. We have fun and we get a lot of good work done. If you can imitate the voices of popular TV or video characters, you’ll catch and keep kids’ attention and delight them, too, as long as your voice work is brief and includes a link to the real focus you have in store. Anyone that doubts the power of voice has never watched a baby fall asleep to the sweet sound of a live lullaby. Voice is more expressive than any form of writing, don’t you agree, no matter how fancy is our world of technology! Use your voice power and your students will love you for it.